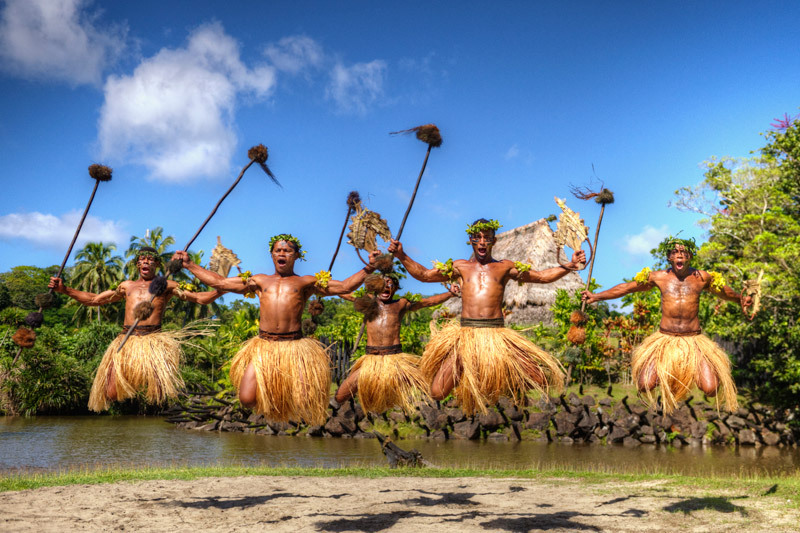 Be touched by the warmth and traditions of these beautiful people and add a new dimension to your Fiji holiday with a Fiji village tour. 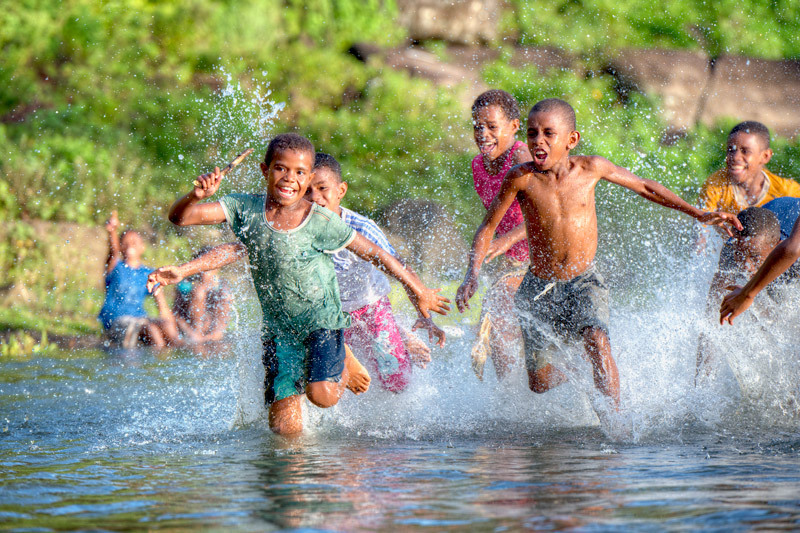 Village life is central to the Fijian culture. Taking a tour of a traditional Fijian village can be somewhat of a trip back in time where customs have remained in place for hundreds of years. Many villagers still live in traditional thatched roof bures and rely mostly upon nature to sustain their daily needs. Many Fijian villages are located on the banks of rivers with a backdrop of souring mountains or amidst National Parks surrounded by tropical wilderness. For those wanting a little action and adventure with their tour, some village are quite remote and are easier reached by boat and a trek through virgin rainforest. Meals and refreshments are served on most tours. When visiting a Fijian village, it is customary to present a gift of kava (approximately $15-$25 / half kilo) which is presented to the traditional head of the village and usually at their home. During your visit, the kava may be served and shared. It is important to dress modestly when away from your hotel, and especially when visiting a traditional village. It is a good idea to carry a sulu (sarong) with you so you can cover your bathing suit, shorts, dresses or halter tops. It is considered an insult to wear a hat in a Fijian village – this is considered an insult to the chief. And please remove your shoes if invited to enter their home. It is also an insult to touch someone on the head. Whilst Fijians are amongst the friendliest people in the world, it is important to respect their customs and traditions. Which Fiji village tour is right for you? There are many operators running daily Fijian village tours. We can advise you which tours operate within proximity of your hotel and will be suitable for your traveling companions (i.e. if travelling with children, the elderly, etc). The time of year can also affect when tours run. We are happy to book any tours you may wish to undertake and include them as part of your Fiji holiday package. Contact us for more information – nobody knows the beautiful Fiji Islands like we do!